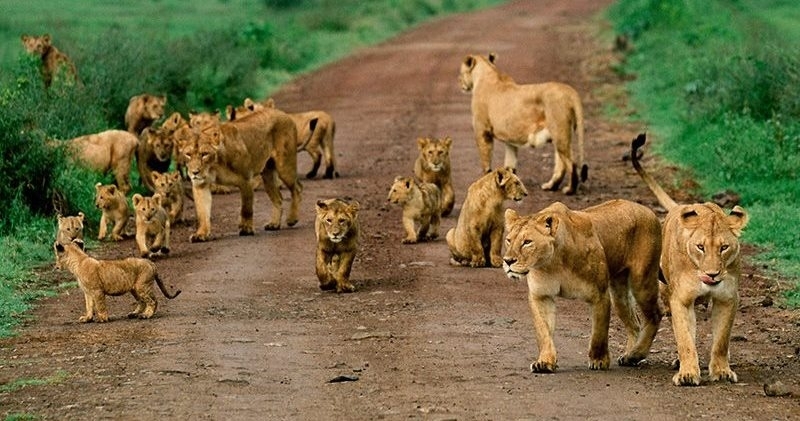 This morning go for game viewing in Masai Mara. Expect to see the ‘BIG FIVE’ wildlife; i.e. The lion, Elephant, Leopard, buffalo and cheetah. Dinner and overnight as above mentioned. You will drive to the fabled Ngorongoro Crater with its truly breathtaking views. Continue round the rim, where a crew of guides, a ranger and Maasai and donkeys will be waiting. Begin a marvelous walk in this pristine Maasai land. The track takes you part way around the rim of the crater through open woodland and acacia forests. Early morning game drive (with a picnic lunch) inside the Ngorongoro Crater You can expect to see lions, elephants, Zebras, Hippos, Flamingos, Jackals, Rhinos Antelopes and many birds. The birds seen here include eagle, vulture, and flamingos in the Crater Lake, stork, bats, giant vulture, sacred ibis, kori bustard, blacksmith plover, long necked heron and the cattle eagle. In the afternoon you will enjoy walking safari on the crater rim. Dinner and overnight Ngorongoro wildlife lodge. We now offer this safari on a group basis and below are the departure dates. Note that the price is generalised, and a more articulate price will be provided upon your inquiry. Therefore, if you are interested in this safari, contact us now!